So I'm brand new to airsoft. Went the first time the other day to SWAT URBAN in Chester for a friends stag doo and thought it was absolutely awesome. Been wanting to get into it for a while now, but the associated price tag always scared me off, but since some of the other guys that went are going to go for it I decided I will too. 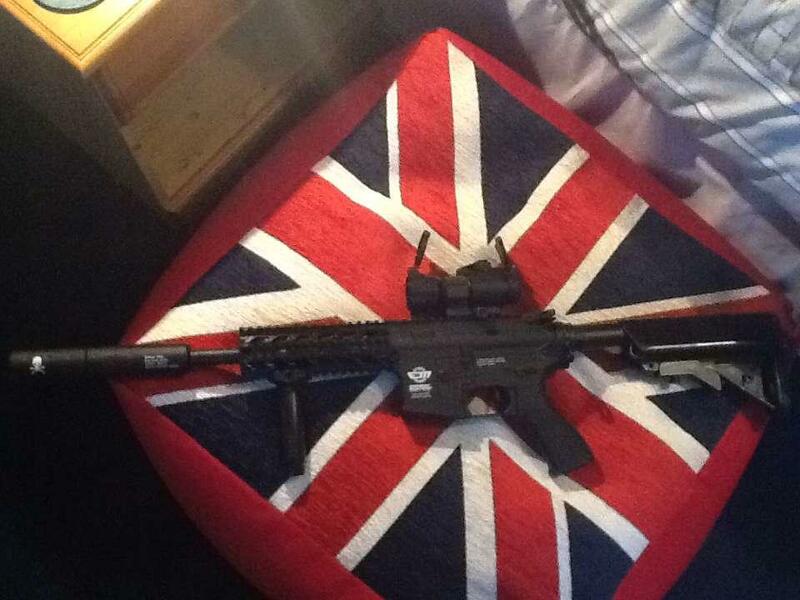 My friend is selling a G&G Combat Machine (plastic clear body) for £80. Problem is he lives miles away, so its going to cost me a bomb just to get there, and plus I've heard.. well.. mixed things about the cheaper G&G. I've been looking at ICS as I've heard alot of TM stuff fits on there, and its a good place to start if you want a gun you can upgrade in the future. Anyone help me out? Thank you in advance! Oh yeah, the budget ISN'T including gear (vests, overalls, etc) for now. I'm planning on getting most of that stuff around Christmas. G&G's budget guns are great, can't go wrong with one of them. You can pick up a few models brand new for around £100. ICS do a plastic range too, you'll be able to get a pretty large selection of stuff from both those manufacturers with around £200, ought to be able to get the gun, a battery and charger and maybe some cheap camo gear. 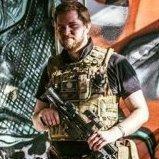 If you're happy using hi-cap mags I wouldn't bother with a chest rig or mag vest, airsofting doesn't hurt enough to need the protection and you won't need the space to carry the mags if they're hi-caps because one or two ought to last you ages. With regard to ICS being compatible with TM stuff, I'm not entirely sure that's accurate, ICS have a reputation for only being compatible with ICS parts, expecially externally. If you buy a non-RIS M4 for example, and then decide you want to add RIS, you're pretty much left with one option - Get the ICS RIS as nothing else is a guaranteed fit. Internally I imagine they use standard gears and such, but don't quote me. Practically everything is upgradable, you just need to know what you're looking for. You'd be better off getting the gun and then asking people on the forums what you'd need to do to improve the performance and then list the things you'd like it to be better at. with a £200 budget for your first gun you can get something pretty respectable, zero-one are the retailer I'd recommend as they do the 2tone paint for nothing and it's just standard green spray paint, so when you've got a defence sorted you can just remove it with oven cleaner. http://www.zerooneairsoft.com/product_info...roducts_id=5035 - Classic Army M4 with sling/goggles/battery/charger etc. All of those are less than £150, leaving you plenty of cash for a couple of high cap mags, a charger and probably even a cheap-ish optic to stick on top. http://www.zerooneairsoft.com/product_info...roducts_id=5790 - £15 - There are better batteries, but I'm just clicking 'related products'. I'd recommend an intellect branded battery, they're really very good. http://www.zerooneairsoft.com/product_info...roducts_id=2656 - £15 - Cheap charger, not the best in the world, but it won't burn your house down and it'll charge your batteries. http://www.ebay.co.uk/itm/Aimpoint-CompM2-...=item20c3ba1fe2 - £30 - aimpoint sight, bling bling baby. http://www.ebay.co.uk/sch/i.html?_from=R40...20m4&_sop=2 - hi-cap magazines... take your pick, there's hundreds and they're cheap as chips, with the £15 left over if you have a trawl of forums and suchlike you can probably pick up a couple of used hi-caps pretty easy. And there you have it, a complete gun/battery/charger/sight/mag combo for less than £200, it'll work fine for you til you decide to get something better, or you can just keep improving the G&G. If your like for something easy to upgraded then I would avoid ICS. I have a full metal ICS M4A1 and trying to find compatible parts is a nightmare. Mostly because of the Split Gearbox Design but also because ICS like to make you have to buy their crane stocks and stock tubes and Delta rings etc, etc. My friend just got into airsoft and got a G&G Combat Machine. Brilliant gun out of the box. With regards to ICS. It wont take TM hop units standard, the unit needs modding if thats what you want to upgrade. The handguard size if smaller than standard AEG size. The crane stock takes a special battery that you can find (I think) on Fire support, 9.6v 2000Mah. Classic Army i love apart from their Sportline Plastic Crap that snap's when your doing CQB.